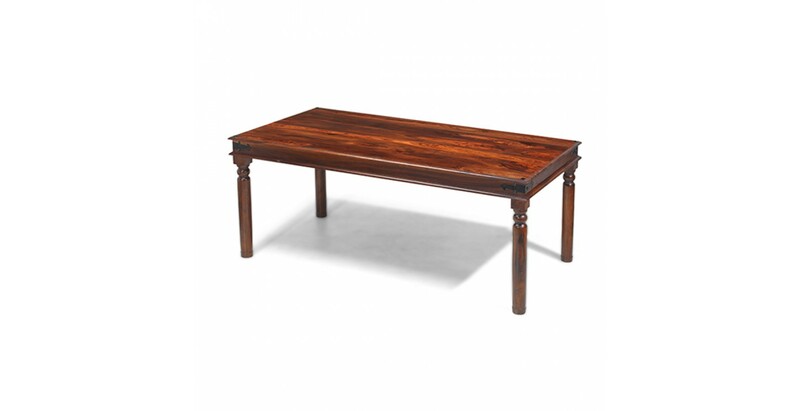 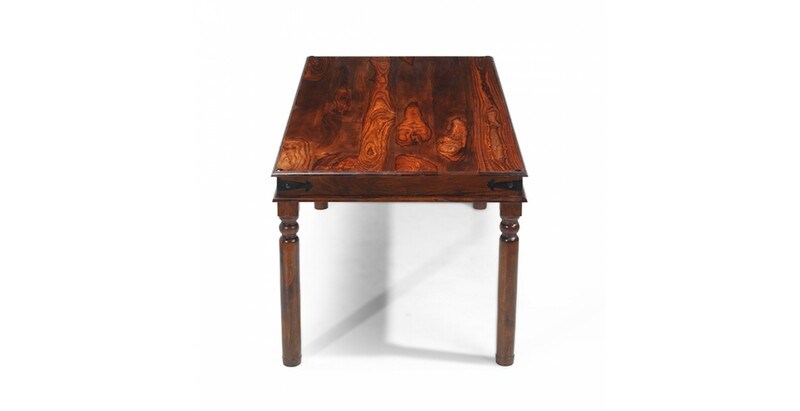 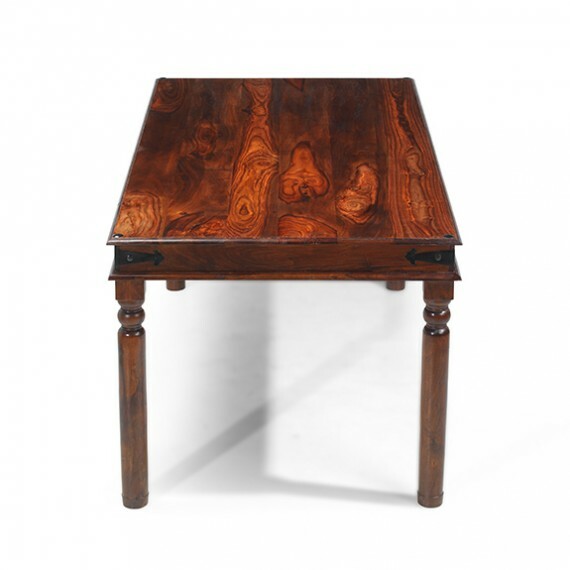 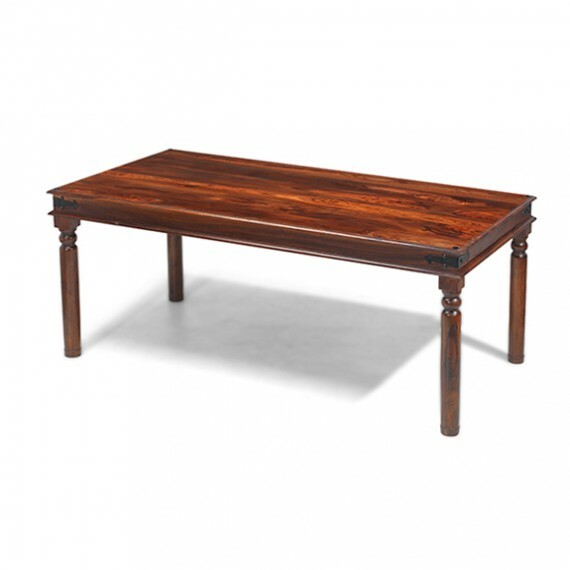 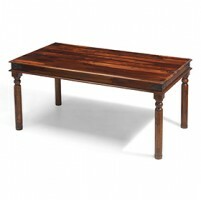 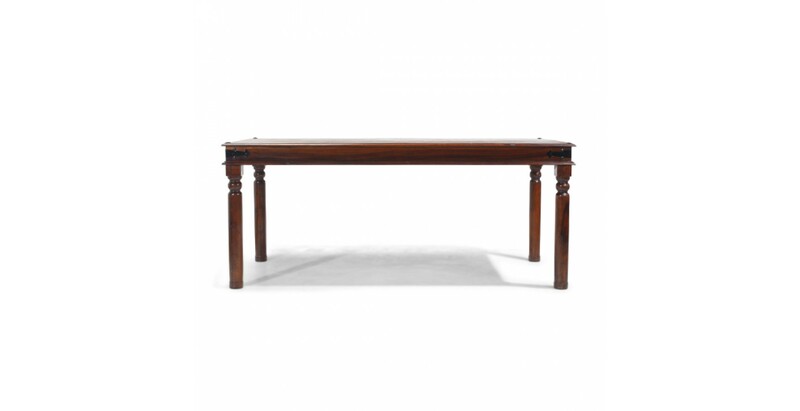 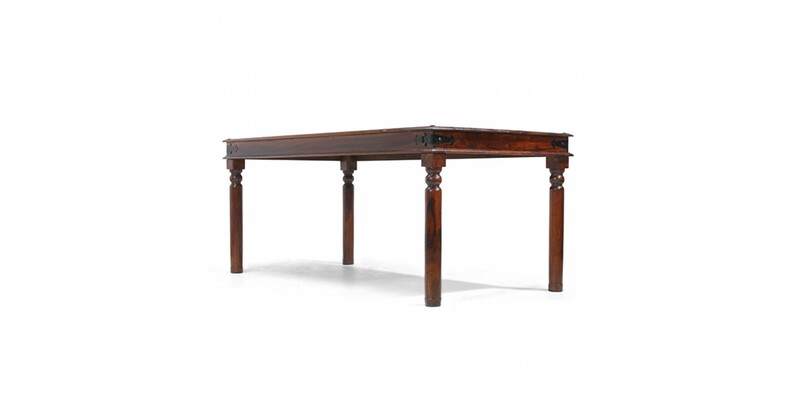 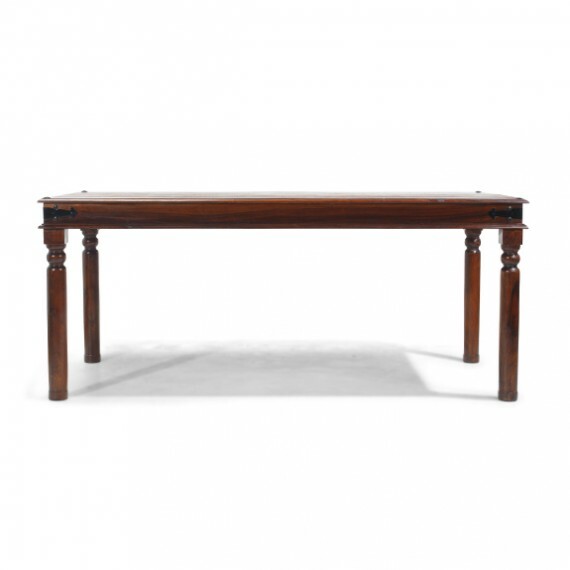 Harking back to colonial times, this impressively proportioned table is perfect for throwing lavish dinner parties as well as sitting down for Sunday lunch with the family. 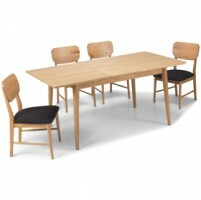 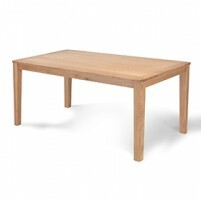 Handcrafted from durable sheesham wood, you'll easily fit eight people around it, possibly even ten. 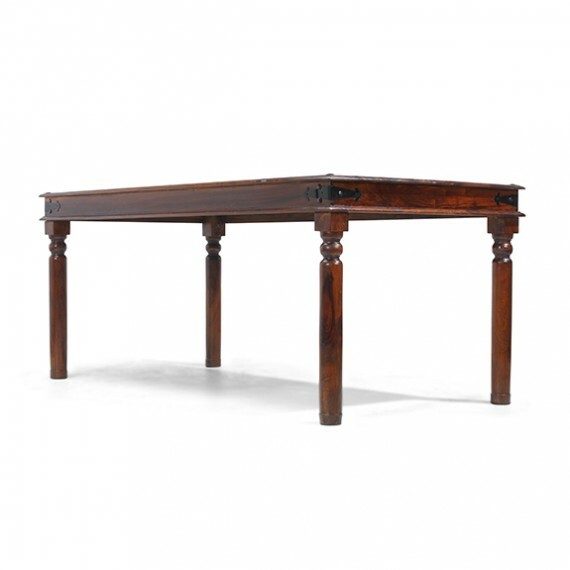 Ideal for larger kitchens or dining rooms where it will make a fantastic centrepiece, features like the gracefully turned legs, iron studding and iron corner brackets add to its authentic appeal. 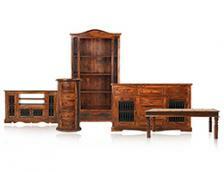 And talking of chairs, we think a set of our Jali Sheesham dining chairs will be the perfect accompaniment.